Prince Attakora-Ofori is the first graduate from UNB Saint John’s dual-degree program with the Burgundy School of Business (BSB) in Dijon, France. Our arrangement with BSB, which began in 2002, offers the opportunity to get two degrees for the price of one, expanded academic offerings to students plus an internship in France, which deepens the international experience. “In a fierce job market, like the one we have in North America, the dual-degree program equips you with the skills you need. I feel very proud and honoured to be the first student to graduate from the dual-degree program,” says Attakora-Ofori. 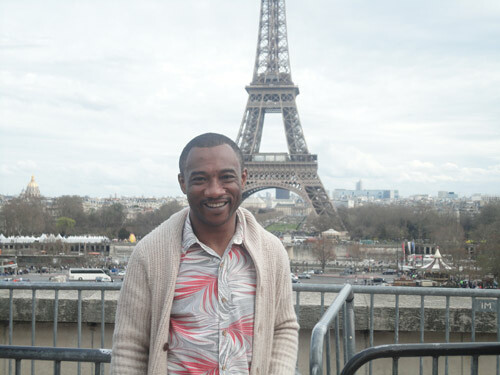 Attakora-Ofori earned both his MBA in International business from UNB Saint John and his MSc in finance from BSB without paying additional tuition fees in France. Now a permanent resident of Toronto focusing his career in finance, Attakora-Ofori is originally from the Republic of Ghana.